Formica Group, the Fundación Aladina and Ink and Movement (iam) once again join forces in a solidarity project in Madrid. On this occasion, they have collaborated on a project carried out by the Gregorio Marañón Hospital in the new adolescent oncology unit. 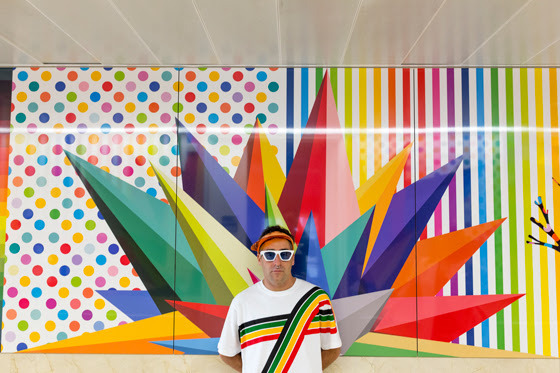 Formica Group, the Fundación Aladina, and Ink and Movement have donated and installed the decorative laminates that line the walls of this unit and the spectacular murals created by the artist Okuda San Miguel. This initiative aims to improve the well-being of the adolescents and their families during their stay in the hospital by providing a more welcoming space that is full of colour. 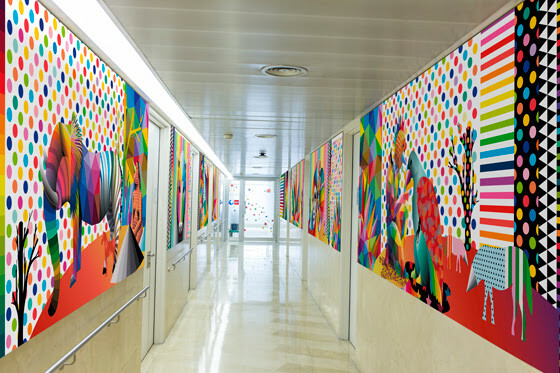 The project follows in the wake of the renovation of the PICU and adjacent areas of the San Carlos Hospital Clinic in Madrid in 2017, which was also carried out by the Formica Group together with the Fundación Aladina and Ink and Movement. 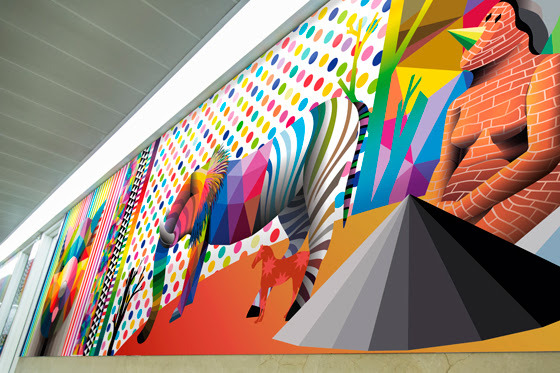 Okuda’s work was digitalized on the Formica Group’s Younique panels and was arranged in numerous murals along more than 100 m2 of the new floor in the Gregorio Marañón Hospital. The work incorporates the artist’s characteristic designs, geometric structures and multicoloured prints. In this space, Okuda wanted to depict “the most childlike and positive part of my creations, to emotionally transform it and give it a new energy that will contribute to the well-being of everyone who passes through it”. The murals create a unique space that both patients and their families will enjoy, as well as the centre’s own medical staff. Gema Bonilla, Director of Marketing for the Formica Group in Southern Europe, stated: “Among many other applications, our laminates and panels are often installed in hospital centres, as they are products with an elegant design and which offer maximum durability, essential features for high-traffic areas like these. 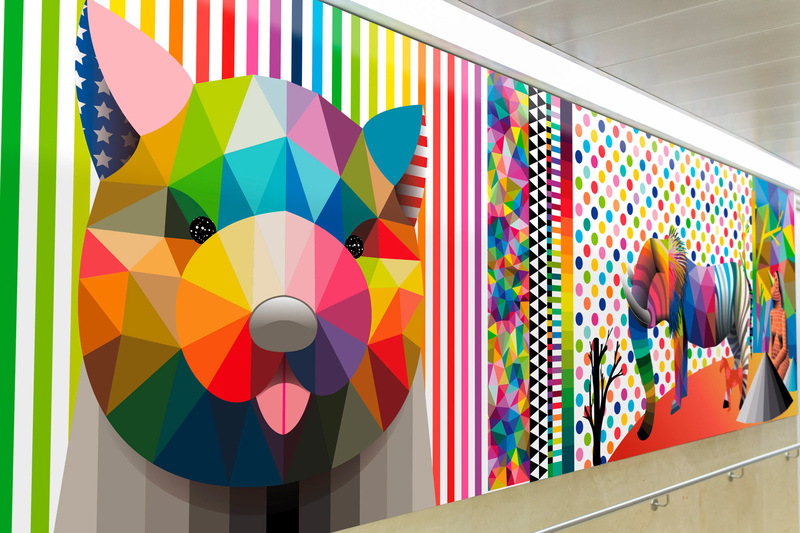 In this project, and through our digitalization service, we have converted Okuda’s creations into Younique high-pressure laminates, creating a unique space of colour and art in the Gregorio Marañón”. Lorena Díez, Director of the Fundación Aladina Hospitals added: “This project is going to improve the quality of life of hospitalized adolescents with cancer. Aladina aims to humanize hospitals, making the stay of cancer patients and their families as comforting as possible, so that they forget that they are in a hospital and they feel like they are at home”. ​In the words of Okuda San Miguel, “this undertaking continues to highlight the most childlike part of my work, although in this case we wanted to add a more pop-like element with the introduction of prints and the Kaos Star, one of my icons with which I place value on a different way of doing things”. Thanks to Okuda, Zigor at Ink and Movement, Formica Group, the Fundación Aladina and the Gregorio Marañón Hospital for the images.